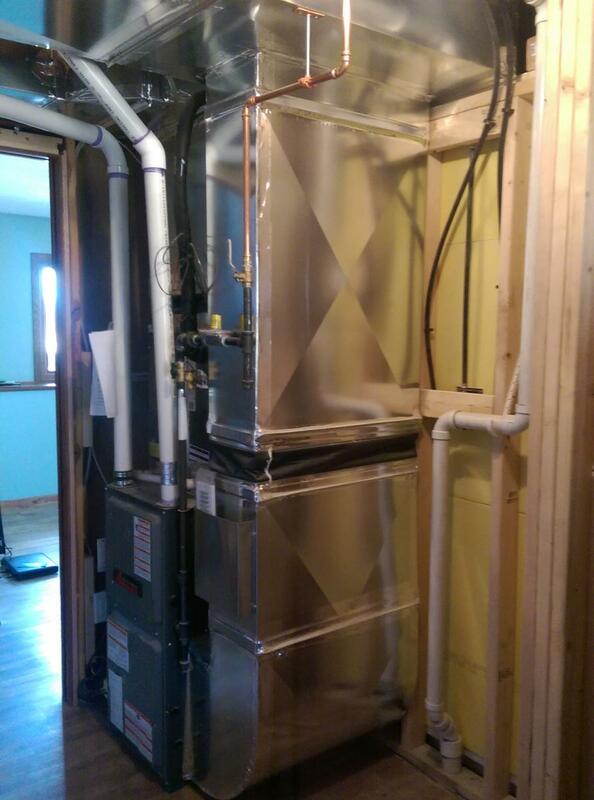 This Shoreview, Minnesota home was recently updated with a new heating system. The house was built in the late 1970's and used electric heat as its main heating source. Mill City Heating & Cooling was brought in to install a new forced air heating system that included an Amana ASX16, 16 seer air conditioner, and an Amana high-efficiency furnace. The furnace and A/C qualified for $950 in Xcel Energy Rebates. The new ductwork was run to all habitable spaces from the basement to maintain the main floor layout. The City of Shoreview Department of Inspections has reviewed and approved the new heating system change out and our customers now have a warm and cozy home.